Henschel built some large twin-engined diesel-hydraulics for China between 1966 and 1972. There were 34 locos in 3 classes; 4 NY5, 10 NY6 and 30 NY7. They were incredibly powerful engines for the time with the NY7 rated at an amazing 5000HP. It was basically two DB class 218s in the same box! 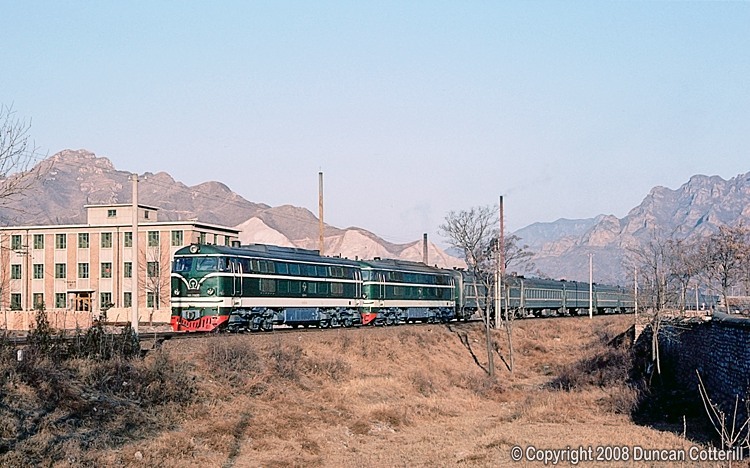 NY6 0005 and NY7 0025 provided more than enough power to lift a long passenger train up the ramp from Nankou to Badaling on Christmas Day 1984.